Do you know you can embed an Instagram picture in a website? Here is a glittering example [Pun intended] of Instagram picture appearing in this blog post. Don't you think visual content is 1000 times better as compared to 1000 words of text? 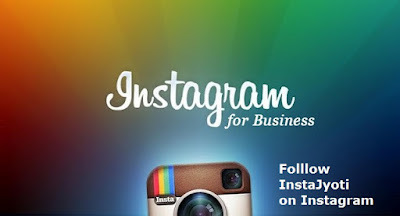 Instagram is an excellent online mobile photo-sharing, video-sharing and social networking service that enables its users to take pictures and videos, and share them on a variety of social networking platforms, such as Facebook, Twitter, Tumblr and Flickr. It is a facebook company. Contact J.Zaveri@dnserp.com for outsourcing complete social media marketing or training. Whatsapp +91 9552946949 - Pune, India.